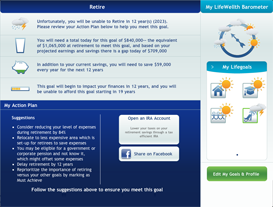 LifeWellth is the simple way to plan your finances to ensure you achieve all your goals in life — from a new member of the family to retirement, and anything in between. 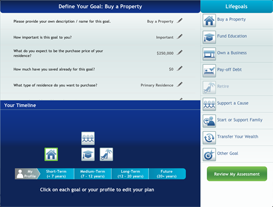 Select your financial goals such as retirement or college by dragging them onto your timeline. Understand your financial situation today and what it should be for the future. 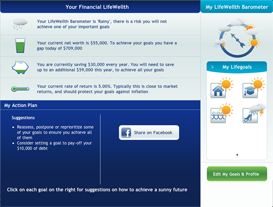 Clearly see your ability to achieve your goals with the LifeWellth Barometer. See suggestions on how to move from a rainy present to a sunny financial future!